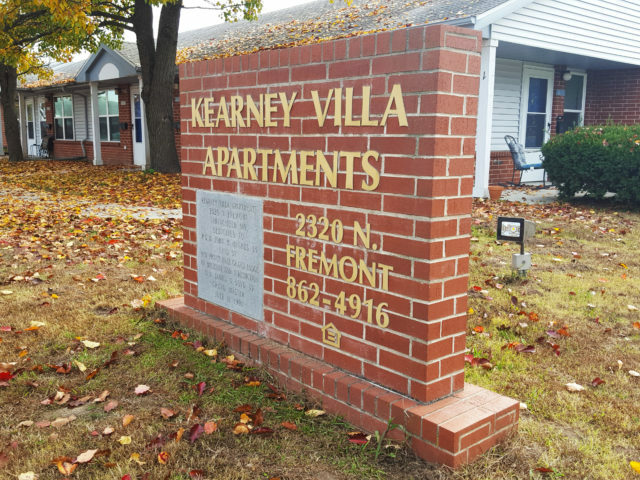 All of the units at Kearney Villa are 1 bedroom/1 bath and include stove, refrigerator and mini blinds. We have a community room for watching television, reading, resident meetings and resident family gatherings. The community room also contains a kitchen with a microwave and refrigerator as well as a library of donated books DVDs and a DVD player. Additionally, we have a laundry room with a heavy duty washer, one standard washer and two dryers. 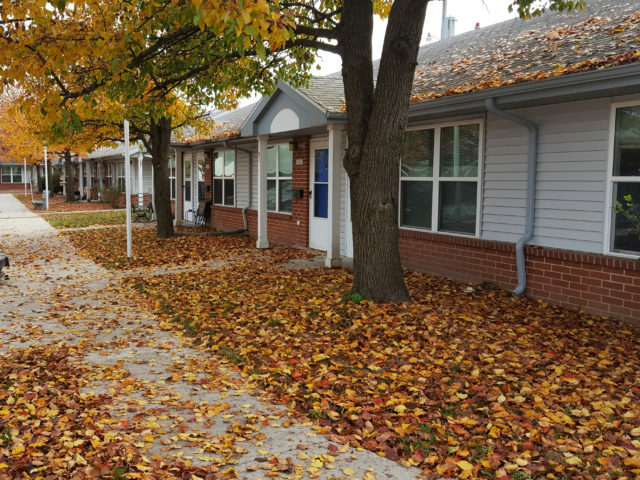 Our community is served by OATS (Older Adult Transportation Services) and a City Access Bus which both come to the property. There is also a City Bus line just a half a block away. We are located within a quarter mile of Walmart Supercenter and several banks. Our standard one bedroom apartments are 580 square feet and our efficiency one bedroom apartments offer 468 square feet. Get more information and schedule a tour by calling (417) 862-4916.